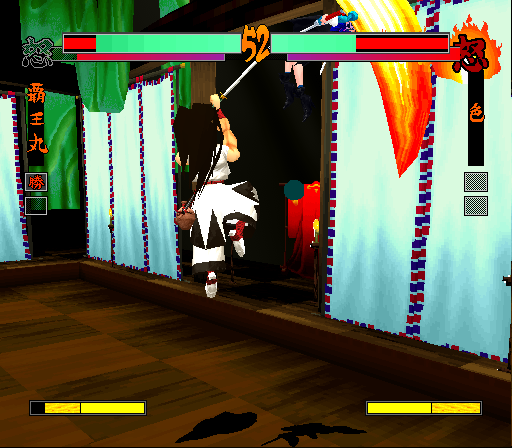 Doesn't look half bad from a distance... but those character models are definitely blocky up close. 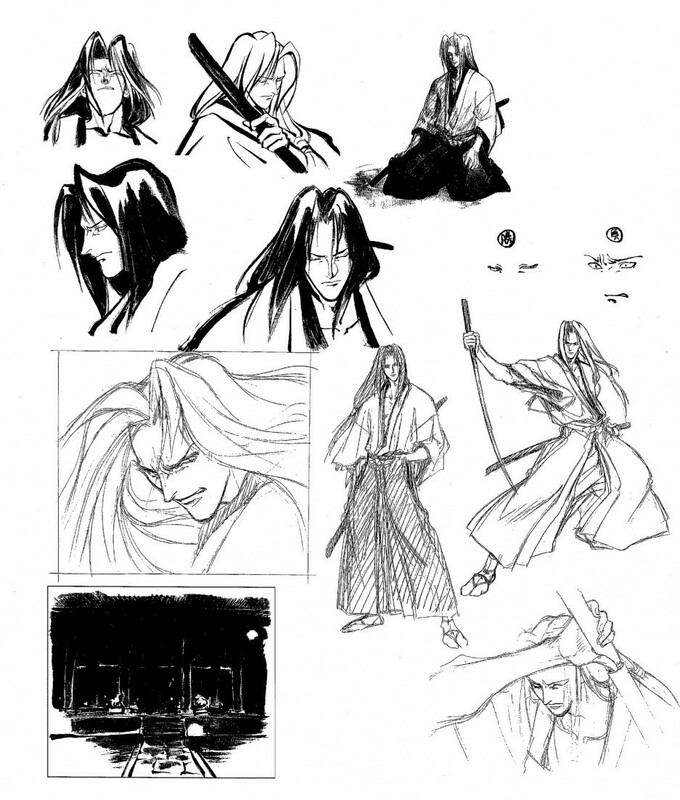 ABOUT: Joining the ranks of most other well known 2D fighting game franchises, SNK's trademark weapon-based 2D fighting game series Samurai Shodown finally made the jump to 3D. 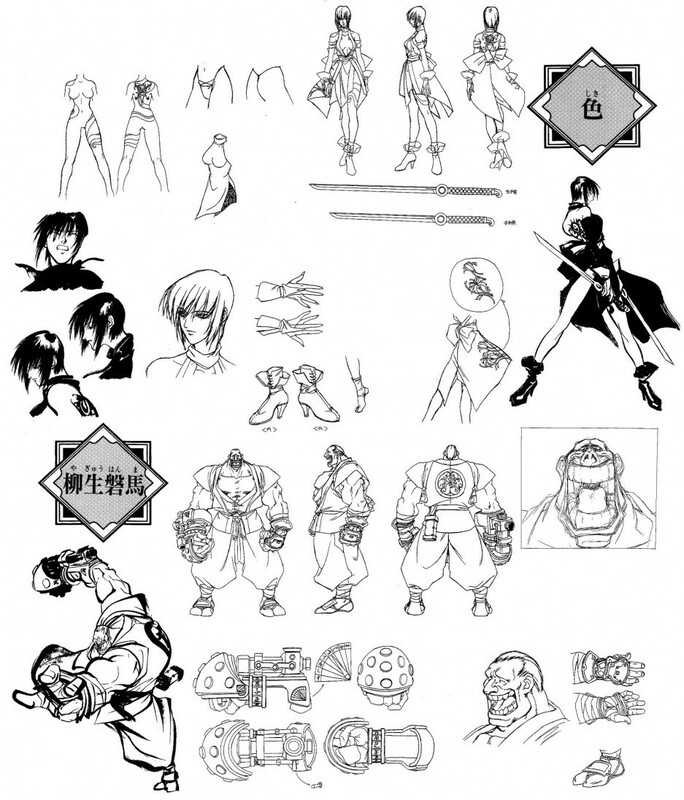 Samurai Shodown 64 brings back several classic characters and introduces a few new faces like Shiki & Yagyu Hanma. 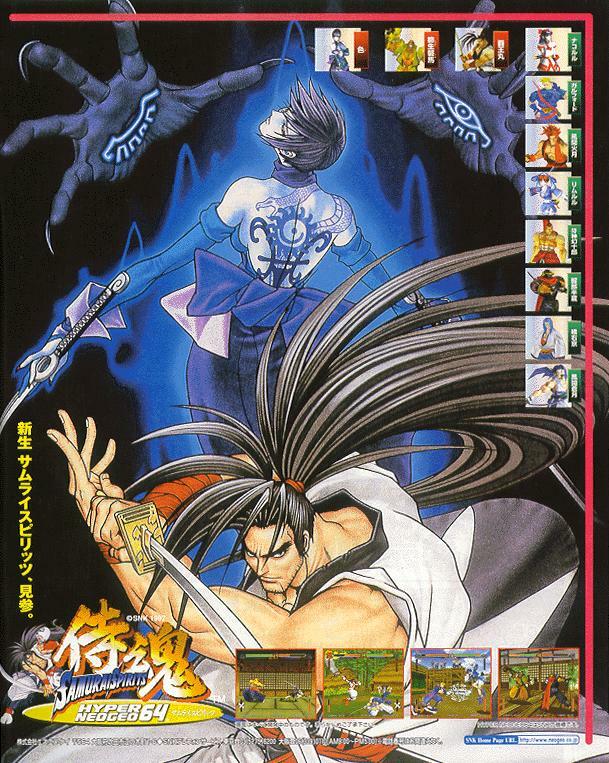 Hanzo and Kazuki in 3D form for the first time ever. 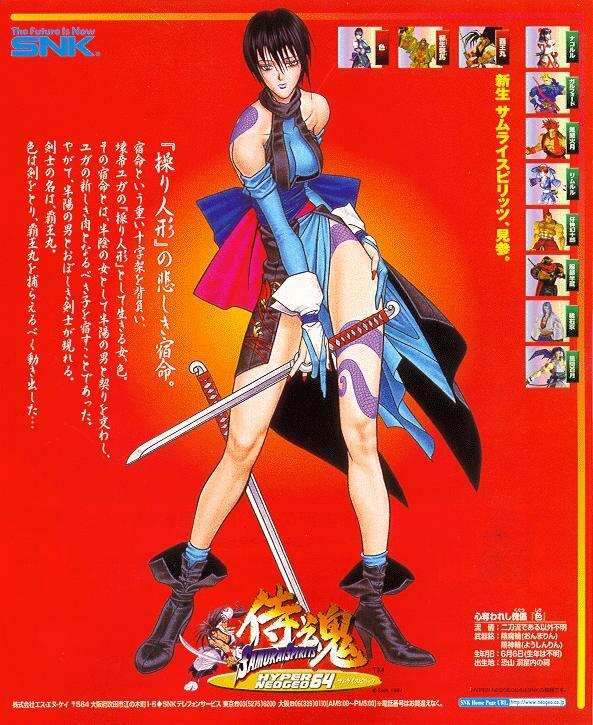 The characters are presented in halfway decent 3D animation & graphics (for the time), though textures were low quality and character models were plagued with noticeable pointy polygons. 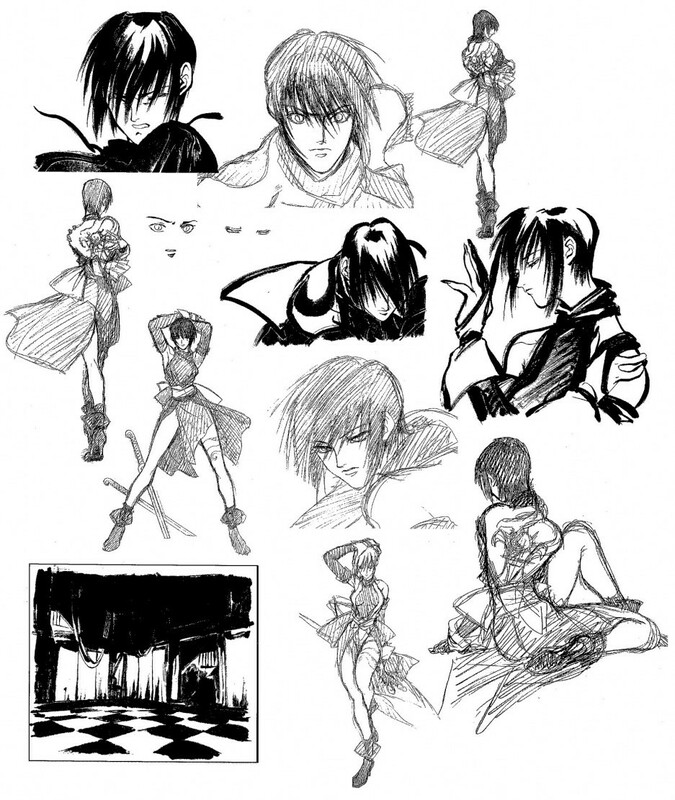 The overall gameplay was on the slow side, but retained most of the series' staple gameplay elements. 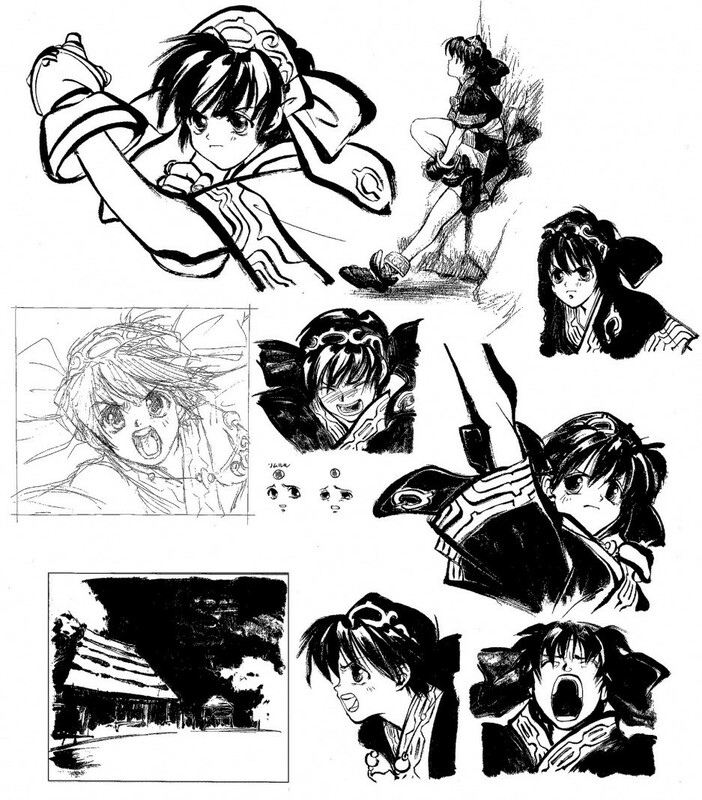 The "Rage Explosion" was brought back from Samurai Shodown 4, and every character also had a powerful super move called a "Fatal Flash". 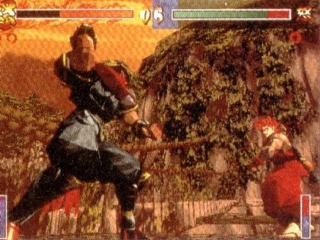 Unfortunately, special moves didn't vary in strength depending on the button the was used anymore, which put a damper on the staple gameplay that fans have come to know and love. *sigh* Dark, low-res screens... still looking for better quality. 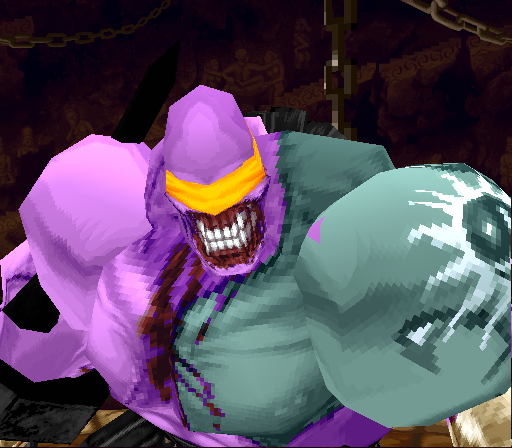 The gameplay takes full advantage of its 3D engine, with the ability to move in any direction (in a fashion that was later modified and used in the Soul Calibur series). 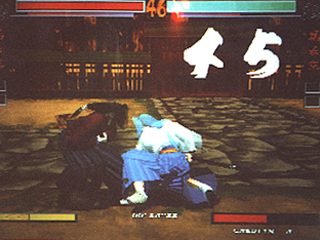 It is also the first 3D fighting game to use multi-tiered stages (although Mortal Kombat 3, a 2D fighter, utilized this concept two years earlier), where it was possible to knock an opponent through a wall or floor into a different section of the same arena. 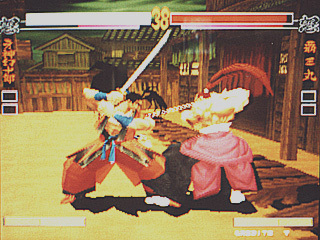 This idea was later used in the Dead or Alive series, which is frequently (and erroneously) credited for the innovation. 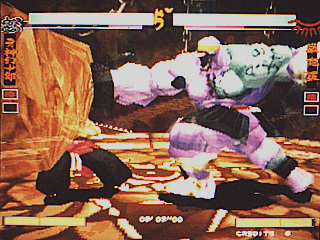 SS64 also makes use of the then-traditional setup of being able to knock an opponent out of the fighting area entirely, thus resulting in a victory by "ring out." 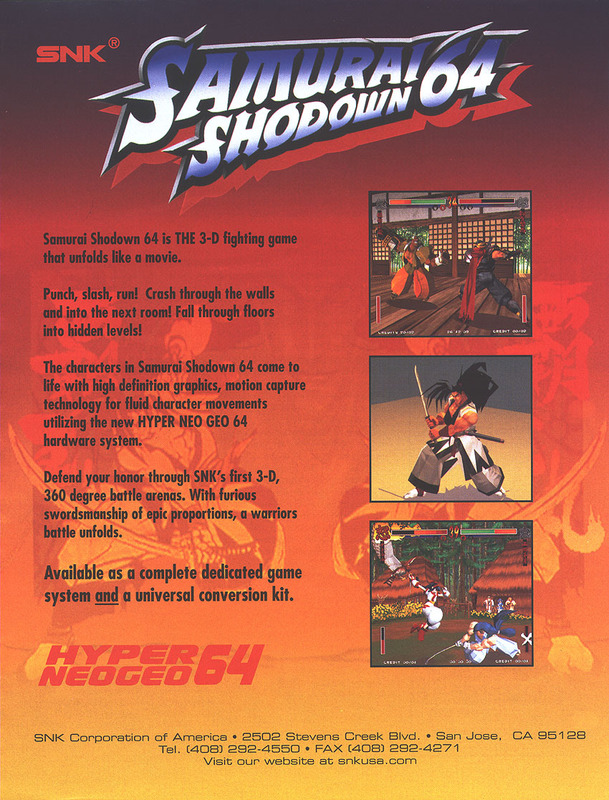 Like most people, I haven't gotten the chance to play this 3D incarnation of the Samurai Shodown series. Even though I know it was a disappointing game considering the series' history, I of course will not "rate it" until I actually play it (if that day ever comes, which I doubt).